Thu., Dec. 6, 2018, 12:10 p.m.
Warrior Liquor Distilling is releasing its first barreled spirits Friday. The limited release includes American single-malt whiskey, bourbon and rye. Each is 92 proof. And all are available in 200 milliliter and 750 milliliter bottles. 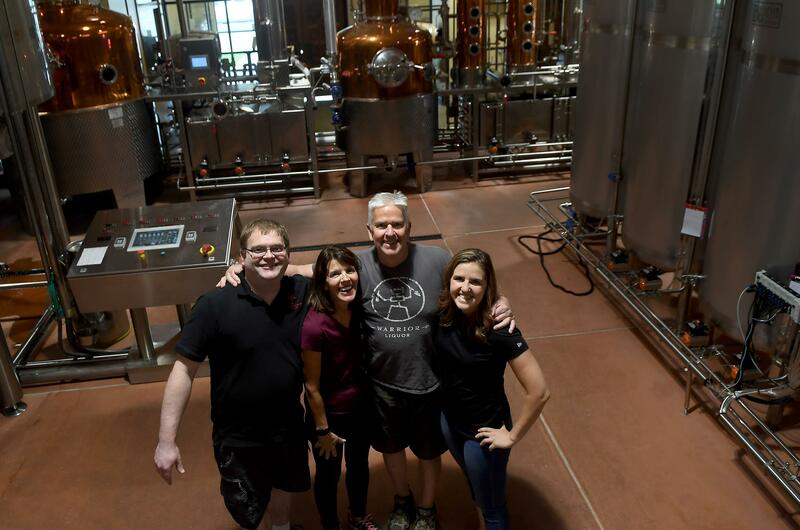 Dec. 13, Max at Mirabeau is hosting a Warrior Liquor Distilling Holiday Barrel Release Party. The event runs from 5 to 7 p.m. at the restaurant at 1100 N. Sullivan Road in Spokane Valley. The event features cocktail specials as well as complimentary horse d’oeuvres. Warrior is owned by Rich and Mary Clemson. It’s at 714 N. Lee St. Call (509) 435-1885. On the web: warriorliquor.com. Published: Dec. 6, 2018, 12:10 p.m.